Besides being free, journaling is available 24/7 with therapeutic benefits. Think of it as your companion and friend. 1) Reduces the intensity of your emotions by writing about your anger, sadness or painful emotions. 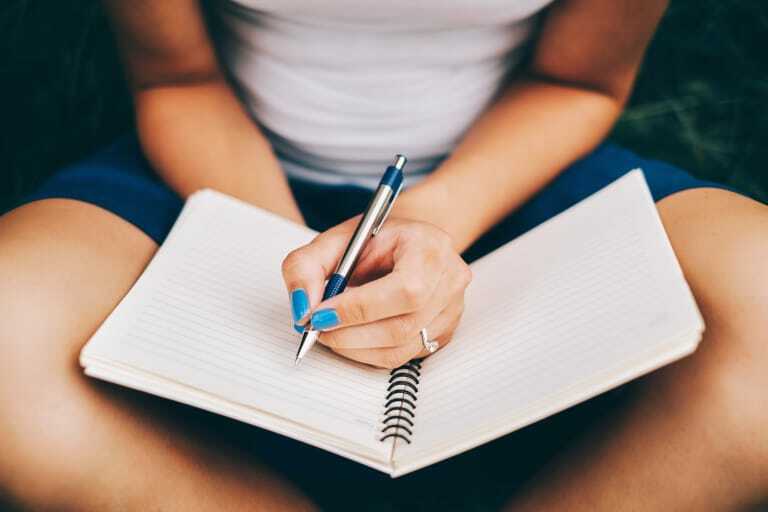 2) Reduces stress- by writing down your anxious/worry feelings it creates a structure and reduces stress and the physical impact on your body. Once you have identified the problem you can than work on a plan to overcome the problem and in turn, reduce and/or eliminate stress. 3) Clarifies your thoughts and feelings. By identifying thoughts/feelings this illuminates your internal world and allows you to observe how they are making you feel. Once identified, you have the opportunity to change your thoughts to how you want to feel. 4) Helps you problem solve as it unlocks your creative side of your brain. 5) Keeps your memory sharp as it boosts memory and comprehension. Journaling works both the logical and creative side of your brain. Set 5 -10 minutes each day to take time out for you and start creating your journaling experience. Choose the journaling format that is best for you. It can be a journal, or a sheet of paper or using “Notes” on your phone. Choose one and start writing and reap the benefits for your body and mind. Keep your journal handy and visible. Make it easy on yourself. Write freely- Don’t worry about spelling, grammar, forget about “shoulds”- just let your thoughts/feelings flow organically. Have fun with it and enjoy the stress relief benefits of journaling to live a happier healthier you!! !